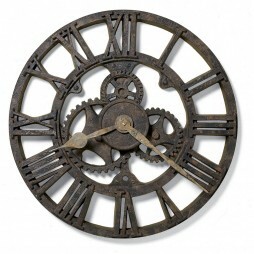 Enjoy the harmonic 2 triple-chime movement of Westminster, Ave Maria or Bim-Bam melody every hour on the Cirrus Oak Wall Clock. 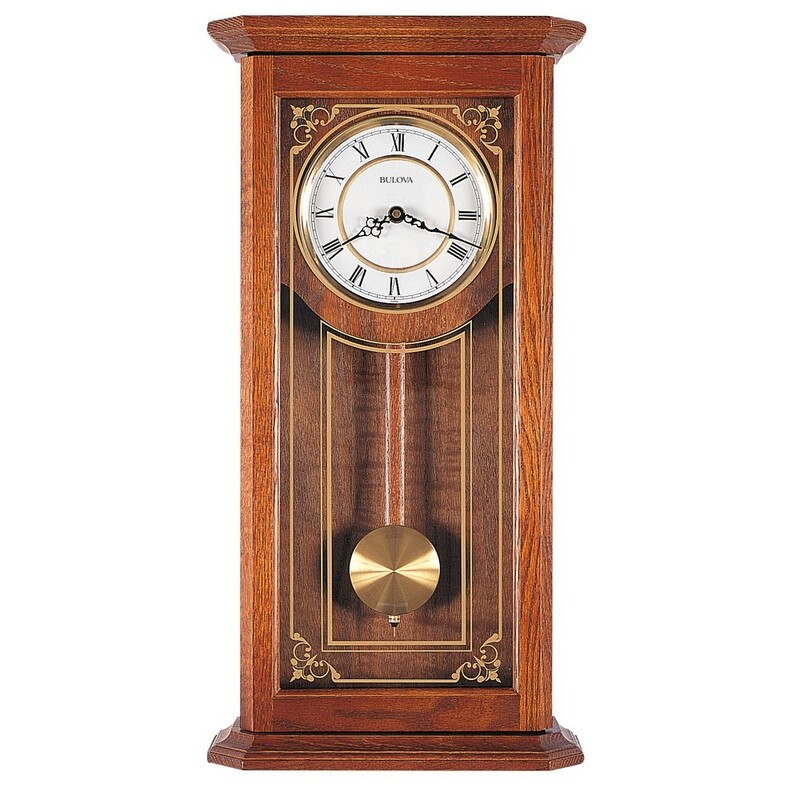 Quarter-hour Westminster chime and strike are available, as is the automatic night shut-off. (Adjustable volume control). 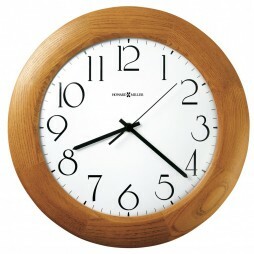 The solid oak case is finished in California oak. 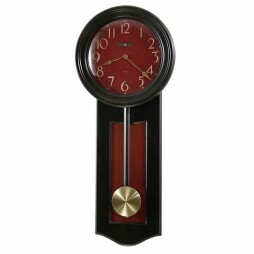 The face is a Vienna-style metal dial with a beautiful pendulum behind decorative screened glass. Solid oak case, California oak finish. 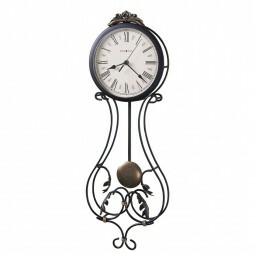 Quarter-hour Westminster chime and strike available. Requires (1) AA, (2) C batteries, not included.